Federal Overreach in the West on Public Lands | RANGEfire! More Realities: There seems to be little agreement about all the reasons WHY the Federal Government should NOT be managing such massive amounts of land and resources in the West, but there is a growing consensus that the Federal Government is either missing the mark, or has gone too far, and it is time to do something different. Note: This is the second part of a multi-part series about Seven Realities in the West that the Federal Government and the Mainstream Media don’t seem to want to acknowledge or talk about. When the series is complete, we will combine it all in one piece. You can read about Reality No. 1 Here. You can read about Realities 5&6 (the Laws of Prior Appropriation & Beneficial Use Here, and you can read about Reality No. 7 (Ranching is Actually Good for the Environment) Here. Reality No. 2. There is Broad Consensus in the Rural West that the Federal Government Has Worn Out its Welcome. There’s an old saying to the effect that “If it ain’t broke, don’t try to fix it,” but the saying doesn’t apply here. 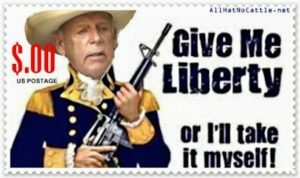 Make no mistake, even in Western ranching circles most people seem to disagree with Cliven Bundy – especially when it comes to means, methods, tactics, approach, etc. And there seems to be little agreement about all the reasons WHY the Federal Government should NOT be attempting to manage such massive amounts of land and resources in the West. Ironically, some pretty strange bedfellows share this view (that the Federal Government has missed, and is missing the mark). Even most environmental groups regularly contend that the federal government is doing a really bad job managing the resources, and they continually sue the federal government, arguing that the government is doing a lousy job, and isn’t following its own statutory mandates. The primary difference is, they don’t want someone else to do it, they just want the federal government to do it differently – according to their view. While we’re talking about the intersection between federal failings and environmental preservation activism, under increasing pressure from environmental activists, there are three additional realities that the federal government, environmentalists and the mainstream media increasingly ignore and refuse to talk about: (1) FLPMA itself expressly states that it is subject to all valid, prior existing rights; (2) FLPMA’s land-use policy mandate is multiple use and sustained yield, and; (3) FLPMA requires the federal government to coordinate with state and local governments. 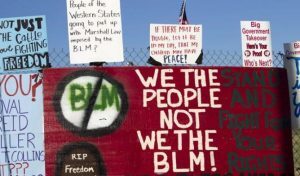 Despite all the disagreements – often focusing on the bases, means, methods, and approach advocated by the likes of Cliven and Ammon Bundy – however, there seems to be broad consensus in the rural West, and among state and local elected officials, about one thing: The federal government is missing the mark, has become an overbearing, tyrannical landlord, and has overstayed its welcome – in its role as primary land manager in the West. This reality has now leapt to the forefront not only in recent events around the West, but even the current Republican Party National Platform, drafted in preparation for the recent Republican National Convention, expressly includes language addressing this issue, suggesting that it is time for the Federal Government to seriously scale-down its domineering role in the American West. The U. S. Forest Service, within the Department of Agriculture, controls around 200 million acres of land with enormous natural resources, especially timber, a renewable resource providing jobs for thousands of workers that should be used to the best economic potential for the nation. Many of our national forests are in worsening health with the threat of invasive species, insect mortality, and the severe risk of wildfire. The increase in catastrophic wildfires has been needlessly killing millions of animals and destroying homes and watersheds for decades in the western states. The expense to suppress wildfires related to failed federal forest policies continues to increase. When timber is managed properly, the renewable crops will result in fewer wildfires and, at the same time, produce jobs in the timber industry for countless families. We believe in promoting active, sustainable management of our forests and that states can best manage our forests to improve forest health and keep communities safe. Although there seems to be a fairly clear rural/urban divide over this issue, and there is no question that the vast majority of the urban population in this country — who seem to have little practical understanding of the issue — may feel otherwise; in the rural West there seems to be little disagreement about this particular point: The federal government has gone too far and has worn out its welcome. And to be clear, just because people live in so-called rural, Western states, doesn’t mean they don’t identify and side with the urban majority. Utah, for example, is one of the most urban states in the entire country. The vast, vast majority of its population lives in urban, metropolitan areas, relatively far removed from realities on the ground in rural areas. In the rural West, however, where the population has to deal with this issue directly, and on a daily basis, there seems to be broad consensus that the federal government should have no greater presence or influence in Western states than it has anywhere else in the country. Most people with boots on the ground in rural areas in the West seem to agree that instead of being treated as perpetual colonies of the federal government, or wards of the state, as Native American tribes and nations are often referred to and treated, the Western States should be allowed to own, manage and control their own lands and resources – and be masters of their own destinies — without the federal government having any greater influence, dominion, control or interference than it has in any other states. And contrary to popular misconceptions and corresponding rhetoric, this does not mean that these lands will cease to continue to be open to the public, in most cases as much or more than they are now. Contrary to popular misperceptions, based on sensationalized labels to the effect that this is some radical, extreme, anti-government view, that story line doesn’t hold water. 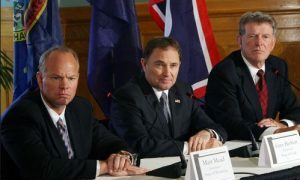 In the West, whole state governments and congressional delegations share agreement on this basic premise and have passed legislation – often by wide margins – to this effect. Now the Republican National Committee has likewise embraced this concept and associated realities. At this point, there is broad, consensus agreement in many quarters that it is past time for the federal government to scale-down, back out, and start relinquishing its overreaching dominion in the West. 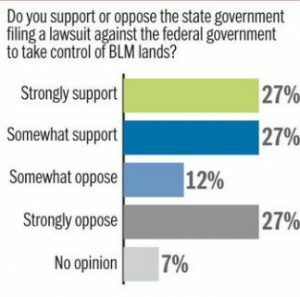 And they virtually all seem to agree that the federal government is doing a very poor job of managing land and resources in the West. Wild horses and wildfire are probably among the best examples of federal mismanagement. Ironically, some pretty strange bedfellows share this view. Even most environmental groups regularly contend that the federal government is doing a really bad job managing the resources, and they continually sue the federal government, arguing that the government is doing a lousy job, and isn’t following its own statutory mandates. The primary difference is, they don’t want someone else to do it, they just want the federal government to do it differently – according to their view. Contrary to prevailing labels, propaganda, and popular narratives, articulation of these positions do not represent some sort of “anti-government” movement or agenda at all. No one is arguing that the federal government should be overthrown or cease to exist. And even Texas isn’t completely serious about its threats of secession. Not even Bundys advocate for complete elimination of the federal government. During the Malheur Occupation, even Ammon Bundy repeatedly said that in his view, anarchy is just as bad as tyranny. And if there is a word that probably needs to start gaining equal footing with all the others in the war of labels, it is that word “Tyranny.” It appears all these folks believe the federal government has a very important proper role, and they are fully supportive of the federal government operating within its proper role and jurisdiction, including national security, foreign relations, international trade, etc. 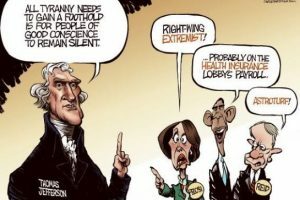 Like Thomas Jefferson, however, they all seem to agree that it is not the federal government, per se, but increasing federal tyranny that they are concerned about. And he’s certainly not the only “mainstream thinker” expressing such sentiments. 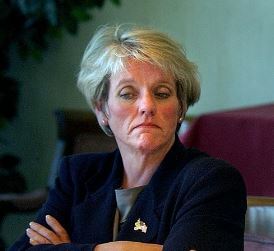 For starters, consider Kathleen Clarke, former director of the entire BLM in Washington, DC, who now heads Utah’s Public Lands Coordinating Council, which is working tirelessly for transfer of federal lands to the states. 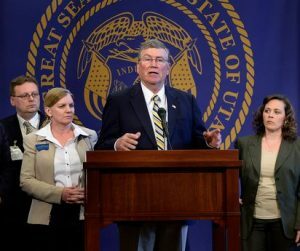 And what about Utah Representative Mike Noel, who was the lead sponsor for the recently enacted Utah Public Lands Management Act. 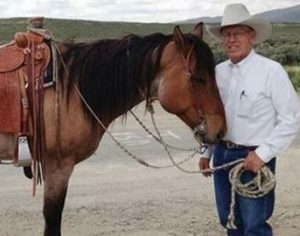 who is also a BLM retiree, and knows and understands the problems from the inside out. Even many federal government bureaucrats (especially those who have been around for awhile) agree that there are serious issues, and the best way to fix them is for a structural change: the federal government needs to bow out of its role as domineering land manager in the West. Back to that old saying, “if it ain’t broke, don’t try to fix it.” Virtually everyone with any real understanding of the issues and conditions on the ground in the West, and a real, direct stake in the discussion, agrees that something is broken and needs to be fixed. Western Governors Sandoval, Herbert, Otter, Ducey, and others all seem to agree: We need to re-think federal management and control. They have all signed or expressed support for legislation exploring this possibility. Just as an example, yet another very rural, agricultural county with a total county population of less than 15,000 residents has recently jumped on the bandwagon seeking to micromanage all private land uses. Like an increasing number of rural counties throughout the West, this rural county recently adopted a comprehensive, county-wide land-use ordinance that governs all land-use on private property in the unincorporated areas of the county. The approach the ordinance takes is to tightly control all land-uses exactly as one would expect to find in much more densely populated urban areas. 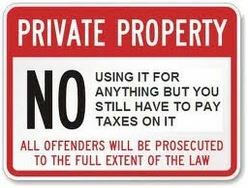 The ordinance flatly denies the existence of any inherent, inalienable property rights, and expressly states that it is the source of any and all property rights or entitlements. The ordinance also gives “the public” – from anywhere in the entire county – a large degree of say in private land uses, including aesthetic considerations, by people who have absolutely nothing directly at stake in specific land-use situations. For example, people from 50-100 miles away can come and attempt to influence land-use decisions, based on nothing more than their subjective opinions of how things ought to be. Moreover, the county planning commission has clearly stated in its general land-use plan, and on multiple occasions since then, that the county’s basic land-use policy objective is to discourage residential development in unincorporated areas of the county. The stated policy objective is to discourage people from living on their outlying farms and ranches. The policy objective is to encourage people to live in town, “where the government can take better care of them.” According to the county planning commission and its general land-use plan, they would rather see farmers and ranchers commute 25 miles from town, rather than live out on their farms and ranches on the land. . And they believe that the “public” should be entitled to have a say in all these kinds of discussions and decisions, including in specific private property land-use situations and decisions. And here’s a big part of the kicker: it recently came to light that neither the county commissioners, nor the county planning commissioners even bothered to read the ordinance before voting to pass it. It is a giant, boilerplate, one-size-fits-all approach recommended by a highly-touted outside consultant who specializes in urban planning. One of the commissioners who candidly admitted that he hadn’t read it said it wouldn’t matter if anyone had read it anyway – because it was so complicated that they couldn’t even begin to understand it. Yet they voted for it anyway. Likewise, a growing number of the three hundred million plus members of “the public” in this country have no solid grasp of the fundamental principles of property rights, and just go along with what they are told – whether it makes any actual sense or not.. Consequently, many of them — from as far as 2000-3000 miles away – believe that they should be entitled to dictate how farmers and ranchers operate on so-called “public lands” in the West. In the vast majority of cases most of these people have never actually seen or visited the lands they are talking about or claim an interest in. In other cases, they may have visited some part of these vast lands once or twice in their lifetimes. And in a few cases, they may actually spend a few days a year recreating on such land. Yet an increasing number of such people have been conditioned to believe that as opposed to the productive, beneficial resource users on the ground, in a democracy, although they are really just a small, vocal minority, because they may outnumber the people on the ground, they believe they should be able to dictate policy, including elimination of any and all productive, beneficial uses on tens of millions of acres of federal lands, in favor of exclusive dedication for either recreation, or non-productive “preservation.” While the statutory policy mandate on public lands is multuple use and sustained yield, they want to eliminate that too. 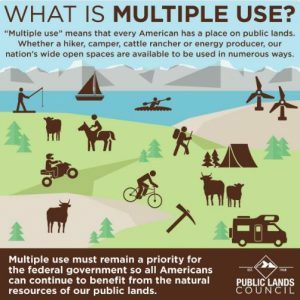 If the federal government would simply do what it is already required by law to do: recognize and respect valid prior existing rights in the split estates; manage federal lands and resources for multiple use and sustained yield, and; coordinate with state and local governments, it would probably fix most of the problems. But the BLM and Forest Service seem to be taking unwritten marching orders from someone else instead. This is yet another reality that no one else seems to want to talk about. I just finished reading all seven of these articles. Well written and thought out. So much so that I consider Todd Macfarlane to have this figured out as well as anything I’ve seen. I could write volumes in attempting to answer many of the questions Todd asked, but instead I’ll just say this. Isn’t anybody reading this stuff? Doesn’t anybody care? I can’t believe there aren’t more comments. It simply boggles my mind that Americans are for the most part are sitting idly by while their rights and liberties are trampled, tread on and otherwise usurped. Love the quote by Thomas Jefferson: “All tyranny needs to gain a foothold is for people of good conscience to remain silent.” Our federal government is running amok. Case in point. With the stroke of a pen, Obama can destroy 1.9 million acres of land in San Juan County, Utah, by declaring it Bears Ears National Monument. Thus locking out the people who know and have managed the land just fine. And inviting in hoards of mindless tourists to vandalize and destroy it. Don’t think so. No monument. No land grab. No more federal intrusion.End of discussion. Michael Nielson Lyman. Great points! Very clear & articulate. The U.S. Constitution is our guide, but so many of us want it to say what we want; not what the founders intended. God blessed this country & that document. Follow it!!! Thanks to my father who informed me concerning this blog, this webpage is genuinely amazing. Just go back to the Land Graduation Act of 1853. The govt is Required to divest or Sell their lands in every State. Prices then started at 50cents per acre and graduated to $2.50 per acre over time. Now Times we would be smarter to just Lotto the fed lands off. If this govt lottoed off say 2,000,000 acres per year for 200 years there will still be over 700,000,000 acres of fed lands left.